I cannot believe that this is the first fractal piece since 2009. Where the hell has time been? Anyways… this one was done for a book workshop. I haven’t had the chance to go for a fractal picture in a while and really enjoyed playing with this one. Goal of the workshop was to show how to work with Apophysis, create some nice fractal plates and then to go with them into Photoshop to combine them into something cool looking. 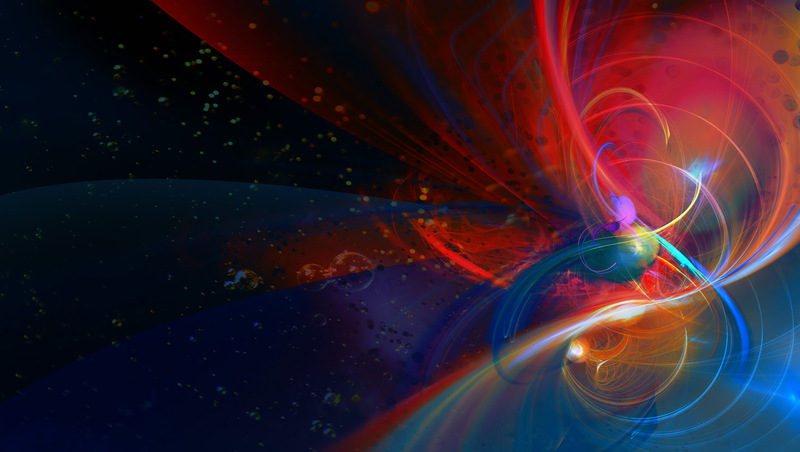 I hope the workshop will open some new creative ways for the readers since Apophysis, from my point of view, deserves more than the niche it’s in now. Here I want to thank Georg Kiehne, the creator of Apophysis 7X, for the help and advice. Also a thanks to the crew at Galileo Design which is always a pleasure to work with. Beside my fractal workshop entry there are also workshops for Photography, Painting and Manipulation in the book. Even some stuff that I can learn, which is a good sign for quality, in my humble opinion! The book itself comes in really good quality paper and is pretty heavy. You know you are holding quality when you have the book in your hands! This entry was posted on Tuesday, January 7th, 2014 at 13:51	and is filed under 3D & Fractals. You can follow any responses to this entry through the RSS 2.0 feed. You can leave a response, or trackback from your own site.